Māori journalism was centre stage today as Massey University hosted the Ngā Kupu Ora Māori Journalism Awards at its Auckland campus. Iulia Leilua was named the Māori Journalist of the Year for her story on Māori Television's current affairs series Native Affairs, which investigated the case of a mother whose children have been taken into State care. Ms Leilua accepted the award on behalf of the family and commended them for their courage in speaking out. Ms Leilua also won the English Category of the awards. The other finalists were Oriini Kaipara, also of Native Affairs, and Kereama Wright, for his story on Television New Zealand’s (TVNZ) current affairs show, Marae. The te reo Māori Category was won by Rapaera Tawhai of TVNZ’s Te Karere for his feature story on the contest for the Waiariki seat in the 2017 General Election and the battle between the new comer Tamati Coffey and the old guard Te Ururoa Flavel. Finalists in this category were Te Okiwa McLean and Irena Smith also of Te Karere, TVNZ. The prestigious Te Tohu a Tanara Whairiri Kitawhiti Ngata, Lifetime Achievement Award, went to Dr Haare Williams, MNZM for his many years of service to broadcasting, te reo Māori and Māori Journalism. His award was presented by the Associate Minister for Māori Development, Willie Jackson and he was accorded a tribute by the chief executive of Radio New Zealand, Paul Thompson who thanked Mr Williams for his inspiring presence in the industry. 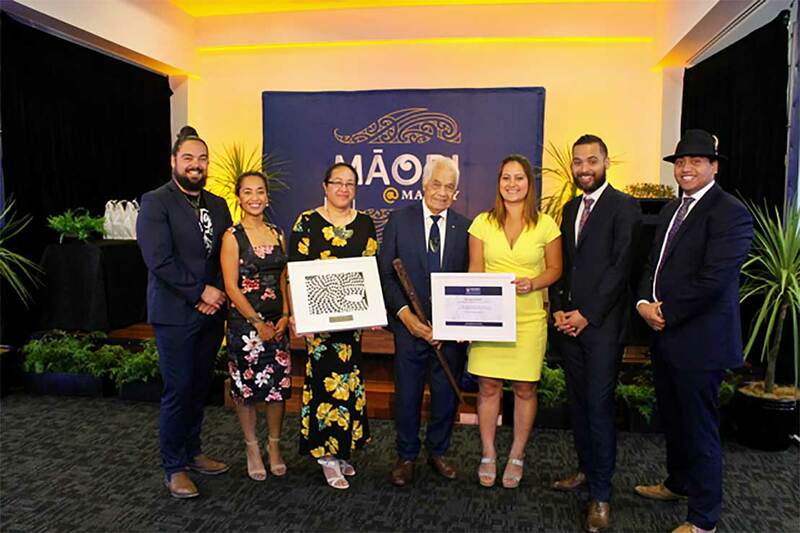 The awards were preceded by the National Māori Journalism Hui which brought together media industry and academics to discuss issues facing Māori Journalism.